Soft Skull Press, 9781593762612, 218pp. Steven Church grew up in the 1970s and '80s in Lawrence, Kansas, a town whose predictable daily rhythms give way easily to anxiety--and a place that, since Civil War times, has been a canvas for sporadic scenes of havoc and violence in the popular imagination. 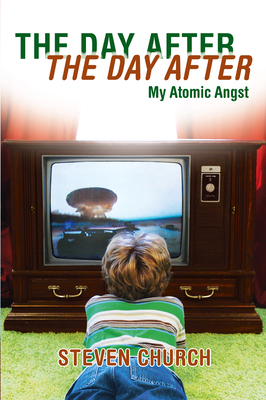 Childhood was quiet on the surface, but Steven grew up scared--scared of killer tornadoes, winged monkeys, violent movies, authority figures, the dissolution of his parents' marriage, and most of all in Reagan's America, nuclear war. His fantasies of nuclear meltdown, genetic mutation, and post-apocalyptic survival find a focal point in 1982 when filming begins in Lawrence for The Day After, a film which would go on to become the second-highest Nielsen-rated TV movie. Despite cheesy special effects, melodramatic plotlines, and the presence of Steve Guttenberg, the movie had an instant and lasting impact on Church, and an entire generation. Combining interview, personal essay, film criticism, fact, and flights of imagination, Church's richly layered and darkly comic memoir explores the meaning of Cold War fears for his generation and their resonance today.